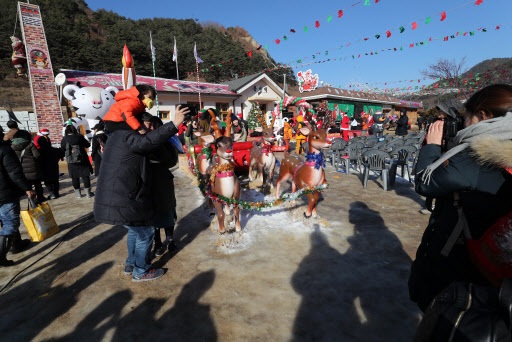 A Santa Claus village in Bonghwa County, North Gyeongsang Province, welcomed visitors on Christmas Day, Yonhap News Agency reported. 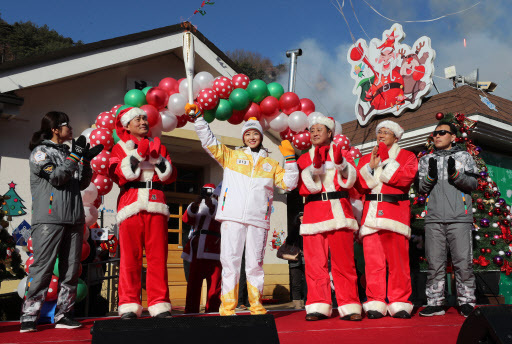 The county held the opening ceremony of its 2017 Winter Santa Village at Buncheon Station Plaza. About 500 people, including locals and tourists, flocked there to enjoy a Nanta performance and a prize draw. 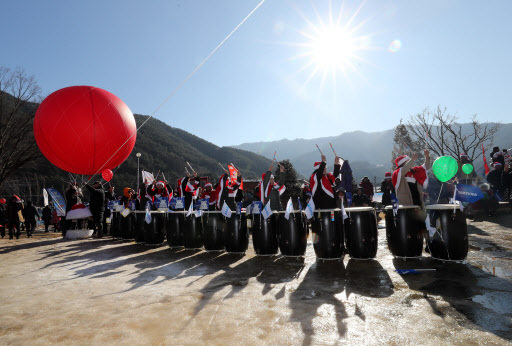 The PyeongChang Olympics torch relay also took place at the ceremony. The village features Christmas-themed installations, including an igloo and Santa Claus’ house. It also offers snow toboggan rides and railbikes. Since it first opened in 2014, over 100,000 visitors have come to the village every year. Winter Santa Village is set to open through Feb. 18.